We are a family run business in Worcestershire. 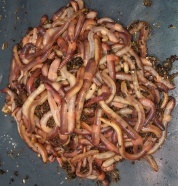 We breed worms on our worm farm, we produce organically grown plants and we make most of the goods we sell. If you have any queries about any of our products please email info@bubblehouseworms.com or phone 01886 832559. We will get back to you as soon as we can. Our aim is to encourage and inspire you to turn your food waste into something wonderful. Each year in Britain we throw away 28 million tonnes of rubbish from home. It is estimated that half of this waste is organic. When organic waste is sent to landfill it becomes toxic, as it anaerobically decomposes it produces methane, a powerful greenhouse gas, and leachate an unpleasant liquid that can seep into our waterways. 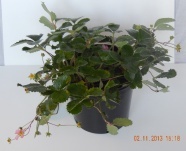 As well as being harmful it’s potential value is lost for ever. Whether you are a single person living alone, a family with children, vegetarian or meat eater, or a business producing food or green waste, there is a better way of dealing with your organic waste than throwing it in the bin. Garden owner, allotment holder, flat dweller, business or educational establishment, it is the one component of rubbish that you can recycle yourselves, at source, with no need for it to be transported else where to be dealt with. Earthworms have worked tirelessly for millenia aerating, tilling and fertilising the soil. The practise of vermiculture is at least a century old but fell out of fashion when the use of chemical fertilisers and pesticides became commonplace last century. Their use led to the destruction of earthworms on a colossal scale. Vermiculture is now being revived worldwide with diverse ecological objectives such as waste management, soil detoxification, soil regeneration and sustainable agriculture. We breed our own worms as we don’t like the idea of them being imported, and they are hand harvested so that they reach our customers in peak condition. 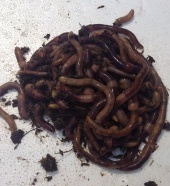 These wonderful creatures will gobble up your food waste and turn it into nature’s finest fertiliser, worm casts. If you are not as fond of worms as we are then there are other options open to you. 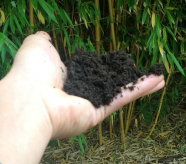 EMs ( effective micro-organisms) can be used to ferment your organic waste prior to composting. 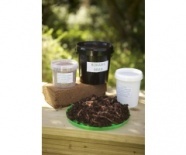 EMs and vermicomposting are natural partners, together they help to produce a trult living soil and have an important role to play in sustainable living All of our products and information are aimed at helping people lead a more sustainable life.